B42 publishes books questioning our visual environment and contributing to the formation of a library, which offers tools to think about the practices of design, graphic design, typography and contemporary creation. These studies cross-reference various domains: technology, media, digital, anthropology, and culture. 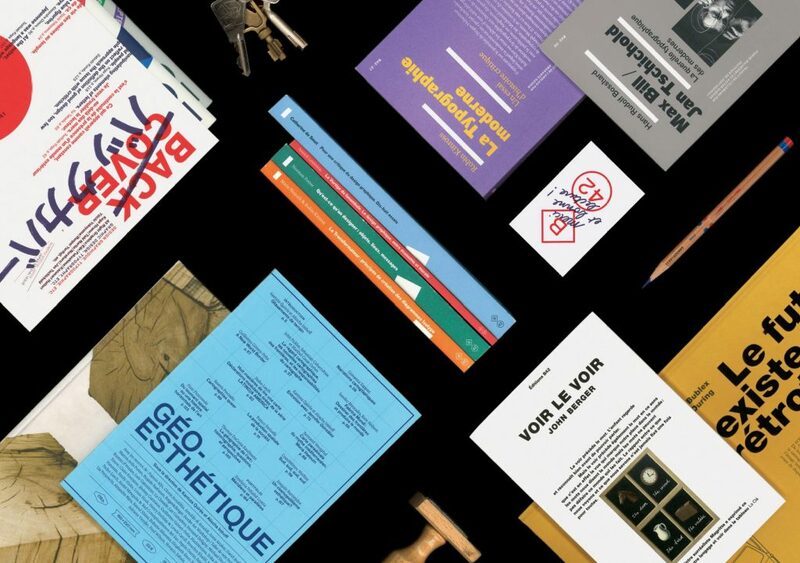 B42 has been undertaking to translate major texts about the history of design and typography, and essays, which aim to transmit and reinvent knowledge. Since the publishing house started in 2008, a catalogue has been built on reference books, which are particularly acclaimed among teachers and form a dynamic collection constantly setting ideas in motion. founded the publishing house in 2008 and is currently its editorial manager. He also cofounded the deValence studio, for which he works as a graphic designer. is in charge of the publications and the editorial coordination. She has been working with B42 since 2015.
carries out the books’ graphic and typographic design, and their fabrication. It also handles B42’s visual identity. has been collaborating with the publishing house since 2014. As an attentive reader, he brings ideas and regularly participates to publications about design and architecture. is doctor of art history, specializing in typography. Since 2011, he has been contributing to numerous projects. is an artist. He is in charge of the Culture collection. is an art, aesthetics and digital humanities Professor at the Université Rennes 2. He is in charge of the Esthétique des données (data aesthetics) collection. are all three editors of the magazine Back Office, which was created in 2017 and is copublished by B42 and Fork éditions.